This morning nominations for the 68th annual Tony Awards were announced and five Black women are up for statues. 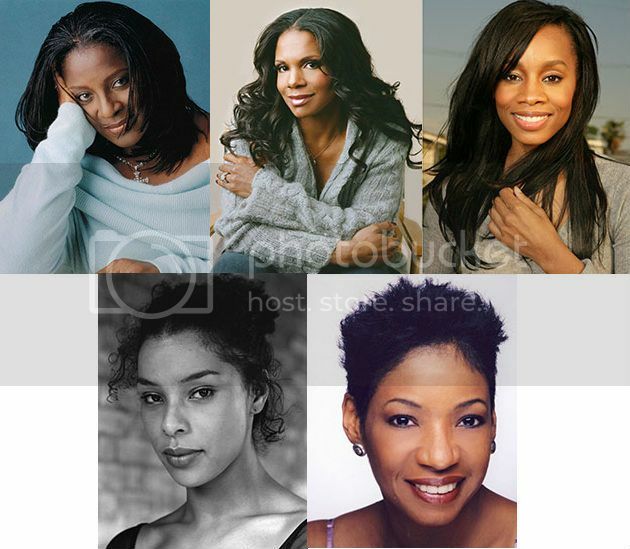 LaTonya Richardson Jackson and Audra McDonald are nominated for leading actress in a play for their roles in 'A Raisin in the Sun' and 'Lady Day at Emerson's Bar & Grill' respectively. If McDonald wins, she will break the record for most ever Tony wins. She currently has 5. Sophie Okenedo and Anika Noni Rose are nominated for their feature roles in 'A Raisin in the Sun.' 'A Raisin in the Sun' is nominated for Best Revival of a Play. Interestingly, the Lorraine Hainsberry masterpiece's entire cast was nominated except for lead actor Denzel Washington. Adriane Lenox is also nominated for Actress in a Featured Role in a Musical for "After Midnight." The show will be broadcast live on June 8.